Poly(methyl methacrylate) or PMMA is less hydrophobic than polystyrene and should show reduced nonspecific protein and peptide binding. 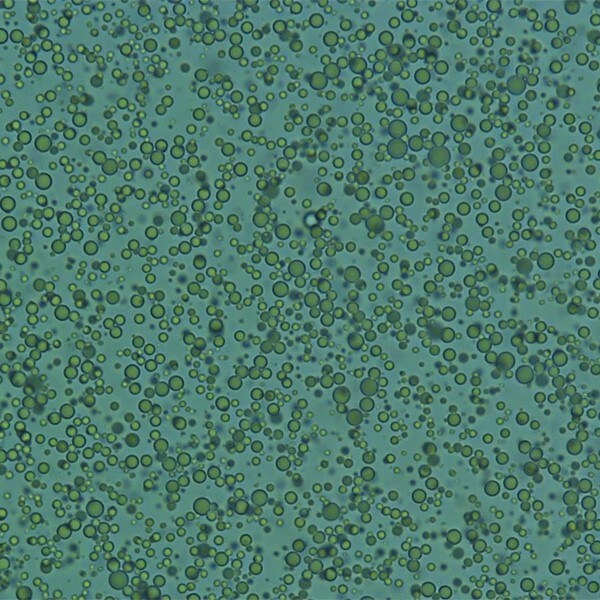 The density of these beads, 1.19 g/cc, is considerably higher than that of polystyrene beads, making them easier to concentrate by centrifugation. The beads are not free of surfactant and contain surface carboxylic acid groups at higher concentration than the standard Polybead Polystyrene Carboxylate Microspheres.